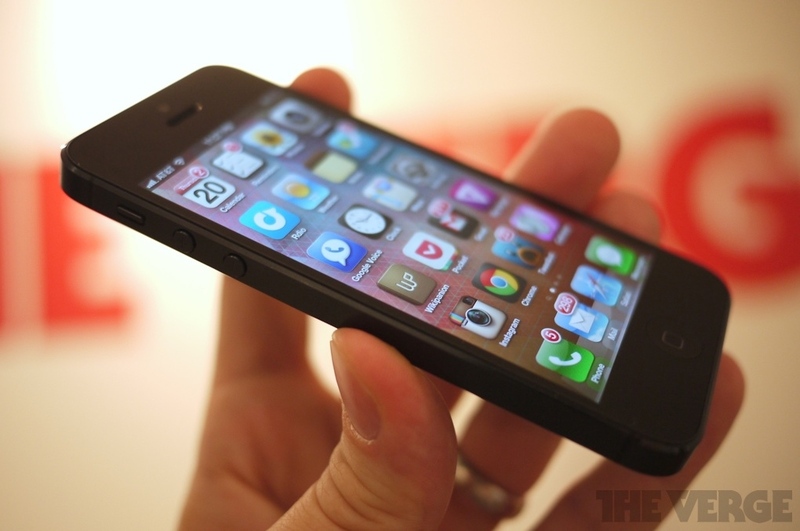 iPhone 5 sales have been abysmally low! Yeah, 2 million pre-orders within hours, Hundreds standing in Lines to get their hands-on the gadget, A 45k product that’s priced 10k higher than its should be, is sold out within a week in a developing country like India and until this story was published, foxconn, sharp and LG were having a hard time catching up with its sales. YET the sales are so low that SHARP and LG have cut the iPhone Screen production to half and that’s apparently, no official word from Apple or SHARP or LG yet but it doesn’t stop tech bloggers to misunderstand a business based speculation by WSJ. How do these things happen to an Apple product and not any other product is quite hard to understand. Here’s a little info about how the iPhone stories come up. In the world of technology and blogging anyone with a close Apple contact (someone who is ready to give hints) can start a tech-blog claiming to be an Apple fanboy. Visit Cult of Mac, 9to5mac, Appleinsider and all such rumor mills whose daily task is to scoop out Apple’s plans of future products, etc. Now, its all very interesting until all the news is a speculation. It was a speculation that Apple would come up with a music player on 23rd October 2001. It was a speculation that Apple will come up with a phone in 2007 and It was a speculation that Apple will launch a tablet ‘mac’ on January 27th 2010. In all these cases the viewers got more than just a music player, phone or tablet. They’d always get more than what would be speculated, upgrades were all hush-hush so say a design upgrade to the iMac was as surprising as the launch of the iPod. But was the design upgrade to the iPhone in 2012 a mere speculation? Wasn’t iPhone 5 inevitable? Didn’t 9to5mac and others kill the excitement months before the iPhone launch by gathering all the parts, even going as far as to predict things down to what processor what speed and how would the actual interface look like? They did. And so did all the newspapers, tech-blogs and every one else. So everyone now looks up-to these websites for the Apple news. A misinformed rumor, a slightly complicated business report, a far fetched thought, the readers buy it all! And that’s when ‘people’ even start looking at iPhone as boring, as Apple failing (Almost everyone jumps on to that conclusion whenever Apple ‘stock’ falls slightly, just because the news booms everywhere within minutes and a lot of people misunderstand stocks and shares and go on to declare reports that Apple is failing) And that is how the iPhone sales are low RUMOR came up. Now to the actual story of this short article. Its about the boring device called iPhone. 10 Days after buying a phone, I don’t care about how it’s home screen looks, I don’t care which widget i’ve got to add today. On a busy monday morning, I’d rather jump straight into my email app and send that important mail. Or I’d rather just bring up the Notification center and check the stock update. I DON’T want to customize my phone, or play with its settings all day. I just want to get things done and quick (1). Android Phones are prone to viruses and malware. My old PC had viruses and I’d always install that disturbing anti-virus which hampered the productivity of that PC popping up whenever not required to. I don’t want the same to happen to my Phone. Its just a phone. Let it stay free from malware or viruses and most importantly “Anti” Viruses. Its a phone! Its supposed to fit into my hands properly. But perhaps most premium Android phones are too large. They either come at 4.8” , 5” or even 6”. To most larger-screen size means better, just because its a better way to watch multi-media content like videos. But for me, a phone ought to fit in my palms, I want to be able to use it to call my friends, not just watch videos or play games. And Content creation is still pathetic at 6” so it doesn’t matter if Its 4” or 6” , I’d rather buy that 9.7” inch tablet if i had other things to do like read books, create documents on the go. All phones are either too simple to be called smart (Windows Phone doesn’t even have a notification center or a native notes app) or are too complex to be called smart. (Android) After all I don’t want to run things like Task Manager, File Explorer on a phone or any device. Its the dirty job which I’d love to keep away from on any device, be it a phone or PC. The app experience in iPhone is far more fluid and intuitive than other devices like Android Phones or Windows Phones. But you may say, that Android and iOS apps are almost same! After all, Twitter on iOS is the same as Twitter on Android. But my point is, that you need far more power and there are far too many options to choose that right phone which offers a fluid UI without making me feel bad about buying it. No thanks, I’d rather stick to easily choosing the boring iPhone which is still smart enough to run apps nicely. As a keep observer of design, the unnecessary metal strip, the inconvenient hardware design, the bulging camera lens, the unwanted battery ‘door’ or a wrongly placed sleep-wake button bother me very much. I’d like things clean, I don’t want a battery door! Or don’t wish to take extra care of my phone’s camera lens or don’t want it to keeping rocking on desk, just because its unstable because of a camera. The iPhone has a state of the art design, Its just right! it feels awesome to hold. Even if Apple Maps are quite bad, I’ve got alternatives. I’ve got alternatives for almost every native app which i don’t feel like using. Be it maps, reminders, weather, there’s an app for what’s not natively available and an alternative for the native apps. So there is no ‘-’ point yet. True, Apple’s approach to the OS is restricted. They ‘approve’ apps. As a developer, I can tell you exactly what stuff doesn’t end up on the store. Its the malware, the Apps that don’t do what the intend to, or apps that leek memory or slower your device, or the apps which are counter-productive providing unnecessary pop-ups etc. Its the stuff that I don’t want anyway. And as a user, I feel safer to download or buy an App from the store. True, the numbers would have been larger if the apps that were rejected were actually approved but then I wouldn’t buy an iPhone if they didn’t screen the apps before giving them to the consumer. Good Job Apple! It costs quite a lot. But then it lasts even longer. As an iPhone user, i can expect it to work well for at least three years. That’s a longer life-span than most phones. Also, given what I am getting at pushing a thousand bucks more to the seller, I am getting infinitely more. As a whole, its a good experience. I don’t have to sulk everyday just because my phone won’t do something that i desire. 1. - Doing things quickly doesn't mean adding as many cores as possible into the processor or more RAM. when the software and hardware are integrated things can still be done very fast even if the processor is only dual core. So comparing a phone by its processor or RAM is a bad idea. A short note on the term “boring” : iPhone’s design has been iconic. Partially the reason why so many phones want to look like an iPhone. Its simple and just clicks. Coca-Cola’s ‘iconic’ bottle design never gets boring, the iconic beetle design isn’t boring even though, the front has only been given minor tweaks ever since its launch! So iconic is not equal to boring. And iPhone’s Springboard UI and Hardware design is iconic. You know an iPhone from the circular home button, the rounded rectangle screen, its always going to stay charming and fresh. So here it is. This why I prefer an iPhone more than Android or Windows Phones. But that doesn’t mean that any of you readers don’t have to buy an Android/ Windows Phones. If you guys, don’t mind these subtle things and would rather go for something more customizable and hackable. 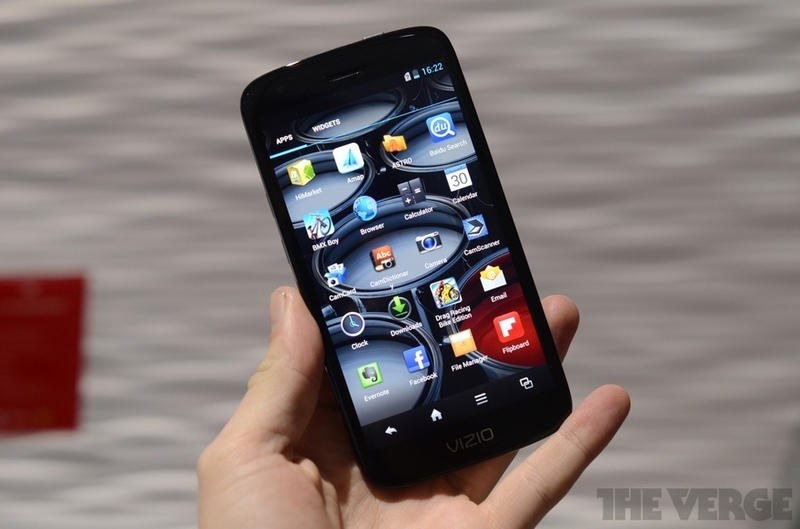 Go ahead, buy that shiny new Android Phone from the store. But Here’s how Apple’s condition is better than what it was in late 1980s and 1990s. Unlike Windows, Android cannot betamax Apple. Simple reason, the mobile market is governed by apps today. Developers can’t afford to stop making apps for iOS. That’s where they get their bread and butter from. Android can hardly provide a stable platform for mobile purchases. So its only Android that’ll always live in the threat of being knocked off by a competitor. All these theories of Apple failing are nothing but mere speculations. Apple’s got a far more stable system this time. They’re dominance isn’t going to end so soon. Meanwhile, I’ll always enjoy the state-of-the-art productive, premium and boring iPhone! 11th January 2013 was a really dark day for technology and web in general. Its a sad day for Web Development Aaron Swartz is no more. ATTN @nytimes Steve Huffman & I founded @reddit. We acquired Aaron Swartz's company infogami 6mos after we launched. Here's remembering the genius for what he was. His work on the RSS, his work architecting the Creative Commons License, Web.py, Open Library, his great work in the field of internet activism and his contributions to Reddit have immortalized him in the world of web development and as those creative commons stickers stick out on our websites lets add another one, saying "Thank You! 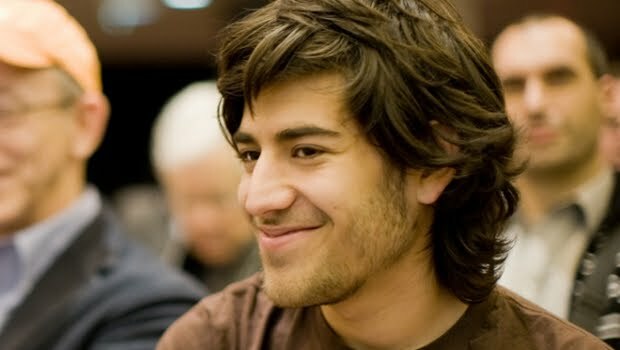 Aaron Swartz", this one's for all he gave us and the world wide web. * - The Wikipedia pages are all a part of the creative commons licence, co-architected by Aaron Swartz. A part of this post was deliberately copied from Wikipedia paying homage to one of its best editors and the guy who let us copy all this 'legally'. Only asking for a bit of credit to its real source. So we’re in that part of the year when we see large crowds gathering in Las Vegas for watching a Consumer Electronics Show take place and even more people watch it online via Liveblogs, twitter updates, tech-blogs, etc. CES is one big event, even if it has turned out to be a no-show in the last few years, as the attention has shifted to other larger events like E3 and Mobile World Congress where the mobile manufacturers are more likely to come up with Flagship phones. But CES has its share of phones too. And 2013 is proving out to be the year of 5inch phones. I bet this is what goes through the manufacturer's brains when the make phones these days. Sony, Huawei and Vizio have already gone on to announce their 5 inch screen phones at CES. Samsung has been making them for an year and a half and all others are readying their 5 inch screen phones for a Q1 launch. However senseless the idea may seem but 5” inches is just too large to be called a phone. And there exists no such mid-range called a “Phablet” where it becomes almost humorous to see people pulling these gigantic touch-screens to their ears for listening a phone. Years ago, when Dell came out with its own 5inch smart phone it was ridiculed for its awkward design. People have found a way round this though, they’ve reduced the bezel size, the phones have come up with these awkward shapes just to fit something as large as a 5” inch screen in your palms, it still doesn’t but it has hit the markets surely. This year companies aren’t stopping at just 5inches. They’re ready with their 6inch phones too. 5inch phones too commonplace? Looks like. The competition is for the largest possible screen in your palm I suppose. But if we look at the whole system of pricing these phones, its becoming increasingly absurd. 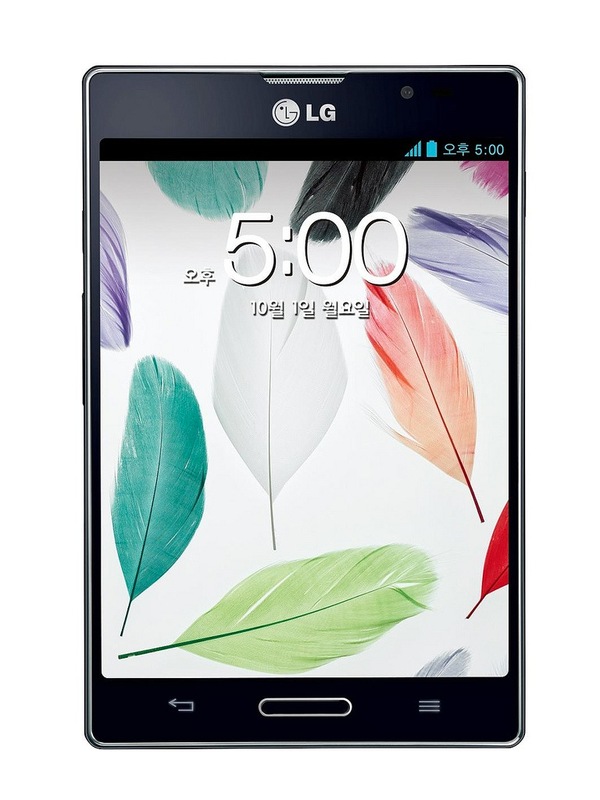 The low end phones that cost between Rs.15-20k are the ones which feature a 3.7-4.0” screen. The Mid Range features 4.0-4.7” screens they cost Rs.20-30k, the high end phones with their extra large 5.0 ‘or’ 5.5 or even 6” cost between Rs.30-35k. Yes! We’ve gone screen size crazy again. This is the sort of things that happened to TVs but its happening to phones as well. And it makes no sense at all. Phones are meant to fit in your palms. Larger screens never meant the former statement would hold true. Even though big screens cost more and those phones need to be priced high but that doesn’t make phones with smaller screens low end. Pricing them low and providing them with old hardware is saying, “You may want to use these but buy our 5” inch phone, its larger and its better” Dumber too. “The iPhone has a 4” inch display. Lets dwarf it, lets make 4” inch the new low end. This way buyers will see it as a low-end phone only.”, absurd as it may seem but the truth is some people think this way too only to say that they thought out of the box. “Larger Screens mean more usability space, with a large screen you’ll definitely be able to use those content creation apps better.” - Thanks! but NO. I’d rather have a tablet than buy an awkwardly sized phone which doesn’t even make sense to hold it to the ear. 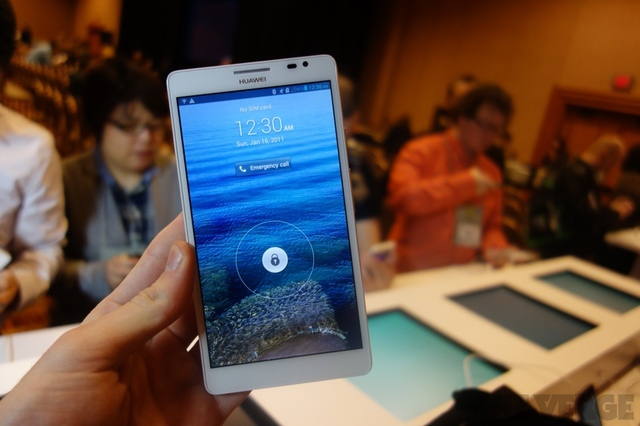 Huawei Ascend Mate - 6.1inches screen. The phone was announced at CES 2013, surely no one needs a tablet now. Do they? 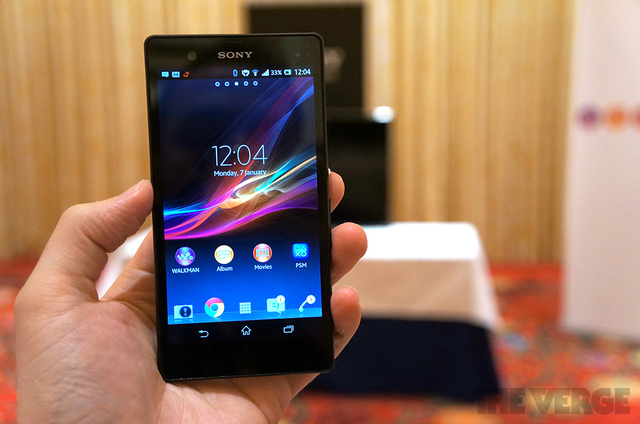 Sony Xperia Z - Sony isn’t far behind when it comes to following the herd. This ‘premium’ 5 inch screen phone has a glass back too. Vizio is a lesser known company. This is their bite at limelight. A gigantic 5” screen phone bound towards China. They aren’t meant for me or any human with an average palm size. They look funny when someone picks them up to answer a call. Extra large phones aren’t smart. They are dumb! 6 inch phones? No thanks, I’ll save my money for a mini-tablet rather. I’m more than happy with a 3.7 or 4.0” screen size form factor.